Duallist D4 Double Kick Drum Pedal- Very rare and in excellent condition! A highly sought after and collectible UK made double kick drum pedal which works effortlessly with the normal motion used to operate a single pedal. This has been very lightly used and is in fully functional condition. As photos! Selling off my unused gear. In very good used condition and fully working. Pro quality gear! Bargain!!!! Will be well packed for shipping! As photos! Selling off my unused gear. In very good used condition and fully working. Direct drive pedals, cost nearly £300 new! Folds flat to fit in bag. Pro quality gear! Bargain!!!! Will be well packed for shipping! For sale is a Iron Cobra 900 Series Single Bass Kick Drum Pedal (Left Side of Double Pedal) in perfect working order. Condition is Used. great condition! Tama Iron Cobra Single Drum Pedal, with Powerglide. In very good used condition. Previous owner added a footplate- see picture. Great pedal, but I'm having a clearout so must go! A handful of paint scratches but altogether a nice clean double pedal. Pedal in good working order. A great, powerful, pro quality, sought-after pedal. Drive bar is good with no lag. Pearl P-2002C Eliminator Double Bass Drum Pedal USED! Pearl P2002C Eliminator Chain Drive Double Pedal The P-2002C is a double pedal complete set based on the revolutionary P-2000C. Chain Drive: Pearl's sprocket-less double chain drive provides super smooth action with powerful and precise feel. Tama Speed Cobra 310 HH315D 2 LEG HI HAT STAND - NEW - IN STOCK! NEW from an Authorized TAMA Dealer. All new TAMA Hardware is backed by a. Speed Cobra 310 Series. functionality reminiscent of the highly regarded Speed Cobra. 2 - LEG HI HAT STAND. The extended foot board and dual leg construction are. For sale is a Tama Iron Cobra R900 Double Bass Drum Kick Pedal in perfect working order. Another unique design feature found on the Natal Standard Series Double Bass Drum Pedal, Smooth Cam is the self levelling hoop clamp. This makes it easier to attach and detach the pedal from the hoop without having to reach under the foot plate. A used but in good working condition Tama Speed Cobra HP310LW double bass drum pedal with a Tama Powerpad double kick bag. Tama make famously robust drum hardware, and the Speed Cobra double kick pedal is no different. 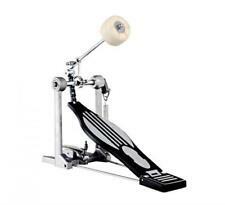 For sale is a Yamaha Double Chain Drive Bass Drum Pedal FP-9500C in perfect working order. 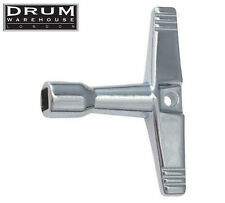 Vruk DrumMaster is precisely engineered and designed to attach in seconds to the footboard of ANY bass drum pedal. Attach Vruk to DW, Tama, Yamaha etc. Stands, Stools & Pedals. Snare Drums. Practice Drum Kits. Mapex Mars P600TW Double Bass Drum Pedal The P600 has a double chain drive which ensures long lasting durability and a smooth feel to play. A solid steel base plate and retractable floor spikes allow stability during rough play. 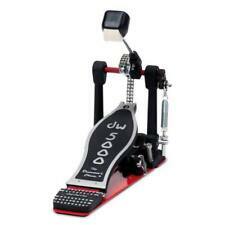 Really nice and smooth Bass Drum Pedal. The P2050C is also available in a belt drive model, the P2050B. Pearl’s original PowerShifter Eliminator was a giant leap ahead in bass drum pedals. The world’s only pedal featuring the patented Interchangeable Cam System, Eliminator’s virtually unlimited tunability lets the player lock in totally personalized feel, power and speed. 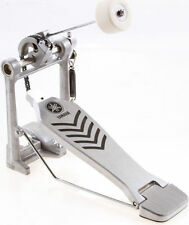 Pearl introduces the Demonator bass drum pedal. Featuring the industry leading characteristics of the award winning Demon Drive pedals, the Demonator is a wonderful addition to the Demon Drive family. Cable driven cajon pedal with superior weight and feel that produces an authentic palm sound. Instantly turns a cajon into a kick drum. Pedal Boards. 3-Foot long cable allows player to adjust comfortably to their desired playing position. Vruk DrumMaster is precisely engineered and designed to attach in seconds to the footboard of ANY bass drum pedal. Attach Vruk to DW, Tama, Yamaha etc. Drum Accessories. Why Buy From Us?. Axis A21 Laser Single Bass Drum Pedal With MICRO TUNE SPRING!! A21 Laser The A21 Laser breaks through tradition with the longest and widest footboard available. The A21 pedals have all the performance features of the Axis pedals with increased magnitude. The A21 was designed to accelerate the beater into the bass drum with greater force and velocity, and to incorporate the Variable Drive Lever for greater adjustability. 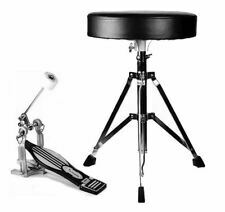 Mapex Armory P800TW Response Drive Double Bass Drum Pedal The P800 makes use of a double chain drive, ensuring it is durable and has a smooth feel. All bass drum angles are accommodated whilst the pedal is flat, due to a self-adjusting hoop clamp with a side-mounted adjuster. Search: Yamaha fp7210a, 7210, yamaha 7210, yamaha bass drum pedal fp7210a, yamaha fp 7210, fp 7210a. Single Chain Drive. We are also able to arrange finance options subject to status. We also ask that you take reasonable care of the item/s whilst in your possession. It also enables double-pedal players to use different drives for each pedal to balance the feel between the left and right feet. The smaller size of the base-plate makes it easy to position a double-pedal around snare stand legs and closer to the hi-hat pedal. Pearl P100TW Double Bass Drum Pedal good working order, please read description. Pearl P100TW Double Bass Drum Pedal. No second pedal provided, just the double one. Good working order with a few signs of use, as pictured. Great dru m pedal, suitable for drum lovers. Double chain drive makes the pedal operation more accurate and stable. Pedal adopts anti-slip lattice design, more stable to prevent falling off in the tread process. For sale is a DW 5000 Single Bass Kick Drum Pedal Hardware in perfect working order. With floor plate. P-2000 spring w/New spring hook. Single chain drive. Spring tension rubber washer. Nylon cam roller. Yamaha Pedal. The beater is barely attached to the shaft so is not suitable for use. I can throw in a cheapie beater if you want. Another unique design feature found on the Natal Standard Series Double Bass Drum Pedal, Fast Cam is the self levelling hoop clamp. This makes it easier to attach and detach the pedal from the hoop without having to reach under the foot plate. A Pearl P-120P Bass Drum Pedal. Base Plate For Maximum Grip and Stability Great pedal. Chain drive and smooth, quiet action. One felt side and one hard plastic side. Pearl P-120P bass drum pedal with solid base plate and original Pearl dual tone beater. 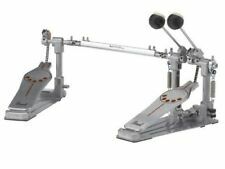 Professional Double Kick Bass Drum Pedal Twin Dual Chain Drive Percussion ! Power type eccentric thick chain cam design. Pedal: double pedal. From center of pedal to center of pedal : Can be adjusted from 20" to 27". 1 set of single chain drive foot drum pedal. - Aluminum alloy pedal. The Mapex PF1000 Falcon Single Pedal features interchangeable drive capability for ultimate customisation of your kick pedal and all-round drumming experience. 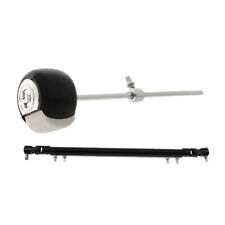 Interchangeable beater weights also allow for further personalisation of your pedal. Axis Longboards X X-L2 Double Pedal. low world shipping!